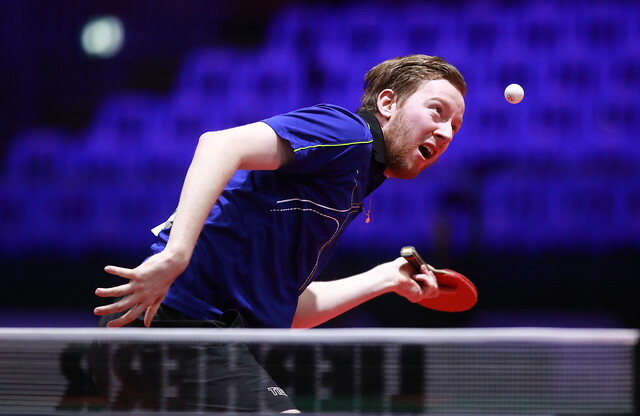 Major challengers for honours at the forthcoming Liebherr 2019 World Championships, commencing in the Hungarian capital city of Budapest on Sunday 21st April, Japan has announced its selection for the men’s singles and women’s singles events. Tomokazu Harimoto, Koki Niwa, Jun Mizutani, Kazuhiro Yoshimura and Masataka Morizono are the men’s names, the women’s line-up reads Kasumi Ishikawa, Mima Ito, Miu Hirano, Hitomi Sato and Miyu Kato. Jun Mizutani and Mima Ito gained selection as result of being crowned national champions earlier this year in January; Tomokazu Harimoto and Koki Niwa, alongside Kasumi Ishikawa and Miu Hirano gained their places by virtue of their world ranking. Meanwhile, Masataka Morizono and Miyu Kato secured their tickets to Budapest by emerging successful in last week’s qualification tournament; Hitomi Sato and Kazuhiro Yoshimura are the coach selections. Notably there are no places in the men’s singles selection for Kenta Matsudaira and Yuya Oshima, nor in the women’s singles names for Hina Hayata and Miyu Nagasaki; all were included in the Japanese squad for last year’s Liebherr 2018 World Team Championships in Halmstad. The omission of Miyu Nagasaki is no great surprise, she is only 16 years old and was no doubt in Halmstad to witness the atmosphere; the fact that Hina Hayata does not appear on the list does raise the eyebrows, a little over two weeks ago she won the women’s singles title at the Seamaster 2019 ITTF Challenge Plus Portugal Open in Lisbon. However, the counter balance is that one year ago in March 2018, she stood at no.12 on the women’s world rankings, in January 2019 she had dropped to no.43, presently she is listed at no.37. Now compare that status with Hitomi Sato, the coach selection, one year ago in March 2018 she was listed at no.16, the following month she advanced to no.12; since that date her lowest listing has been no.14 last December. On the first three issues of this year she has maintained the no.12 spot. Equally the inclusion of Kazuhiro Yoshimura may in some quarters be considered a surprise but like Miyu Kato, in 2018 he proved himself. He won the men’s singles title at the Seamaster 2018 ITTF World Tour Hong Kong Open; Miyu Kato donned the women’s singles crown at the 2018 ITTF Challenge Slovenia Open. Equally, at the 2018 Asian Games Miyu Kato impressed; in the women’s team event against DPR Korea she lost to Kim Song I. Later in the women’s singles competition, when facing Kim Song I in the third round, she recovered from three games to nil deficit to secure victory in a titanic struggle (7-11, 2-11, 9-11, 11-5, 11-9, 11-4, 14-12). She showed character, vital in a World Championships. The Japanese nominations for the men’s doubles, women’s doubles and mixed doubles events will be announced on Saturday 9th March. Remember two years ago in Düsseldorf, Masataka Morizono and Yuya Oshima were the men’s doubles silver medallists; in the mixed doubles Maharu Yoshimura and Kasumi Ishikawa struck gold. Preview Day Two: Action intensifies, who will take the spotlight?